Are there any specific golf course requirements in Ireland? The majority of Golf Courses in Ireland no longer require Handicap Certificates (if you hold a Handicap Certificate it is always advisable to bring it with you). Providing that you are familiar with the basics rules of golf and course etiquette, golf courses in Ireland are only too happy to allow you to play. If you are relatively new to golf please inform a member of our team who will be glad to recommend golf courses that are more suitable to novice players. Can I rent golf equipment in Ireland? Yes, if you wish to hire golf clubs during your visit to Ireland, please contact a member of our team to arrange preferential weekly rental rates with an Irish based Golf Club Hire firm. This option allows you to collect a high quality set of clubs upon your arrival to Ireland and return these clubs as you depart. Most Golf Clubs provide a Club Hire facility which normally costs €30 to €50 per round. Most Golf Courses also offer Golf Buggies (normally €25 – €40 per round) and Pull Trolleys (normally €3 – €5 per round) to hire. During busy periods it is essential to pre-reserve Golf Buggies if required (we can do this on your behalf). What is the Fairways and Fundays affiliate programme? Can I hire a caddy for golf in Ireland? Caddies are available most of the golf clubs that we offer on our Ireland Golf Tours (and in particular at Links courses where course knowledge is essential). Pre-booking of caddies is essential. Fairways and FunDays take care of Caddy Reservation on your behalf and payment of caddies is directly between the client and the caddy. As a general rule, Caddies cost from €40 to €50 for a round of golf. Most caddies will “Double Bag” (cater for 2 golfers) at a price of €60 to €70. Is it necessary to “tip” or give gratuities in Ireland? In Ireland, tipping is not compulsory. However if you have enjoyed a very good experience with any service provider (Driver, Caddy, Waiter, Hotel Staff etc.) it is customary to provide a Tip as recognition for their professional assistance. What can you tell me about driving in Ireland? In Ireland we drive on the left hand side of the road. Ireland has an excellent road infrastructure with motorways connecting all our major cities. Rural driving in Ireland is a very enjoyable experience and while rural roads are narrower, they are maintained to a very high standard. If you have chosen a “Self-Drive Tour” it is imperative that all members of your group who intend driving bring their Driving Licence with them. There is strict enforcement of the Rules of the Road by the Irish Police Force (An Garda Siochana) and offences such as Drink Driving, Speeding, Dangerous Driving and Using a Mobile Phone/Cell Phone while driving, are dealt with harshly. We provide Complimentary use of Satellite Navigation systems on all our Self-Drive Tours. What currency and payment methods are allowed in Ireland? Ireland is in the Euro Zone. There are a vast number of banks in Ireland (opened from 10am to 4pm Monday to Friday) that offer Foreign Exchange Facilities. The vast majority of retail outlets, restaurants and hotels accept all of the internationally recognised credit and debit cards. It is also possible to use most Credit Cards and Debit Cards to withdraw Euro from ATM machines. What are the golfing hours in Ireland? What can I expect from the weather in Ireland? In Ireland, we are extremely fortunate that we rarely have extremes of weather, with temperatures very rarely becoming too low or too high to enjoy golf. Our mix of mild weather with adequate rainfall ensures that the standard of Golf Courses in Ireland is exceptionally high. What happens if my plans change after I reserve my tour? If your plans change you should contact a member of our team as soon as possible to inform us of your updated travel plans. We will endeavour to make all changes necessary to your tour but changes are strictly subject to availability. Fairways and FunDays do not charge for minor changes to Tour schedules. However, if travel plans result in major changes to the tour and cancellations to tour elements, all cancellation charges are imposed by suppliers will be passed on. How can I contact Fairways and Fundays? What happens after i reserve my tour? You’ve reserved your Tour? Fantastic, look forward to the most memorable Golf and Ireland experience available. 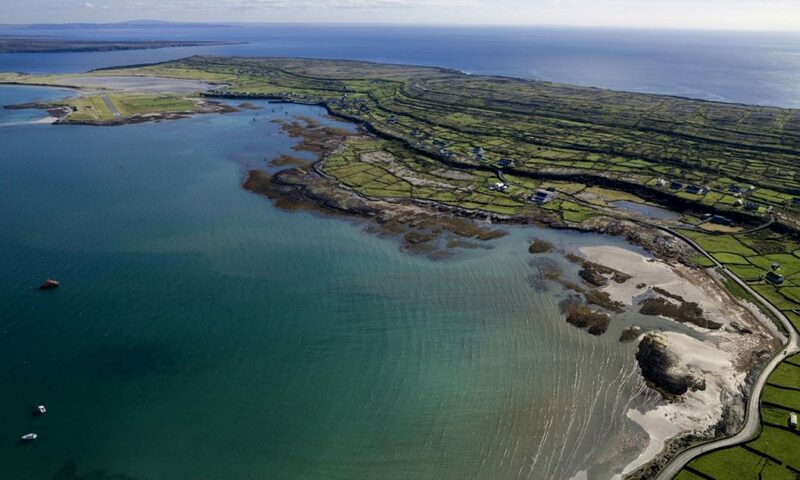 After you reserve your tour you will be appointed a dedicated Fairways and FunDays Tour Director who will take personal care of your reservation until you arrive in Ireland. 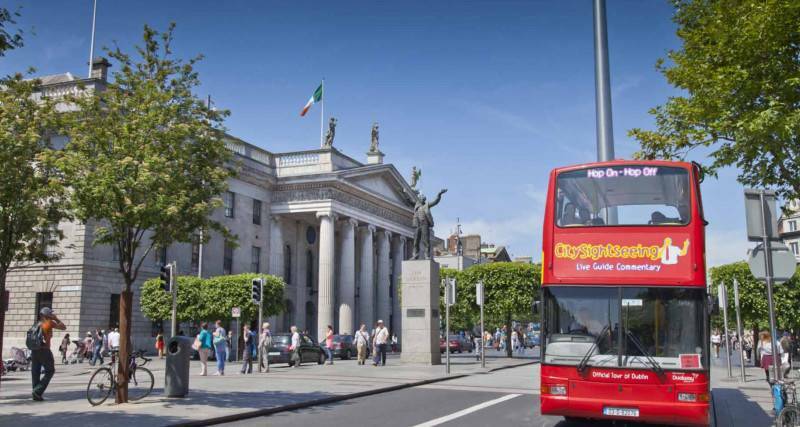 This Tour Director will be on hand to deal with any queries that you have and will contact you with updates by email a number of times before you arrive in Ireland. These updates include Pre-Departure Check List, Weather Updates, Course Information and any other relevant updates. After you reserve your tour you will be given private access to your reservation online which will show your itinerary, your payment schedule and allow you to make stage payments if required. Fairways and FunDays have introduced the most user-friendly reservation and post-reservation systems within the Golf Tourism Industry. Do I have top pay a deposit to book my tour? Yes, we require a 25% deposit at the time of reservation. The balance of the payment for your tour is required a minimum of 8 weeks prior to arrival in Ireland. How can I travel to Ireland? What happens when I arrive in Ireland? A member of the Fairways and FunDays team meets all clients upon their arrival to Ireland. At this stage you will be presented with your Orientation Pack, Welcome Gifts and Taste of Ireland Food and Drinks Hamper. Our team member will then bring you to the Car Rental Desk (in the case of Self Drive Tours) or introduce you to your Private Tour Driver (in the case of Chauffeur Drive Tours). Our team member will be on hand to deal with all questions that you may have when you arrive in Ireland and set you safely on your way on the most exciting journey of your life! Do I require vacation/holiday insurance? It is imperative that as on any holiday, you always obtain Vacation/Holiday insurance. In the event of being unable to travel due to medical or personal reasons Holiday insurance will reimburse a considerable amount of the costs which you have paid. Suitable Holiday Insurance will also cover the unlikely event of any injury, illness or loss during your visit to Ireland. For EU clients we strongly recommend that you obtain a European Health Insurance Card (free of charge) which will ensure that you can receive medical treatment in Ireland in the unlikely event of illness or injury. How many people in a group can Fairways and Fundays work with? Our experienced team can work with individual travelers or groups of any size from 2-200! I am on a limited budget. Can you help? Yes. We can design customised tours to best meet your requirements and budget. Tell us your budget, tell us your interests and we take care of everything else. Regardless of your budget, we can promise you a magical and unforgettable Golf and Ireland experience. What transportation options do Fairways and Fundays offer? Fairways and FunDays offer Self Drive Tours (Rental Vehicle) and Chauffeur Drive Tours (Private Tour Driver and Luxury vehicle). If you are on a tight time schedule or want to reduce travel times, we also organise Private Luxury Helicopter Transfers. Do I need to make sightseeing, activity and restaurant reservations? Our team take care of all reservations for you so you can concentrate on your golf and on enjoying every second in the Emerald Isle. All sightseeing, activity and dining reservations are customised to best meet the requirements of your group. Our tours are about you relaxing and enjoying every moment of your vacation, so sit back, relax and enjoy the tour – we’ve got everything taken care of! Do Fairways and Fundays sell destinations other than Ireland? No, we are experts in Ireland and we only sell tours to Ireland. While other Tour Operators sell multiple destinations their knowledge of each destination is limited. Our experienced team passionately believe that Ireland is the ultimate destination for Golf and Leisure vacations. Previous clients of Fairways and FunDays all now share this view. Can Fairways and Fundays organise flights? You can get instant flight quotations and check all routes available without leaving our website. Our team will guide you in relation to the best airports to select from a logistical point of view, which will minimise travel times and keep your flight prices as low as possible. The dedicated Flight Reservation Section on our website allows you to simultaneously explore prices from all airlines and simultaneously view flight schedules from all airlines. Our Flight Reservation section also takes care of all Flight connections that may be necessary for your visit to Ireland. Fairways and FunDays are the only Golf Tour Operator to offer this service and this makes us your “One Stop Shop” for your perfect Golf and Leisure Vacation to Ireland. Can fairways and Fundays organise my entire Ireland vacation? Yes, Fairways and FunDays offer Free, no obligation Golf and Ireland Vacation consultations where a member of our passionate and experienced team will speak with you to discuss the range of options available in Ireland and help to design a perfect customised Itinerary to best meet your requirements. Although you have heard Ireland is great, you truly have to experience Ireland to see how good it really is! The Fairways and Fundays experience without the golf. Is this possible? Yes, we have welcomed a number of non-golfing groups to Ireland who enjoyed incredible tours with the Fairways and FunDays unique feel. Non Golfing tours include Amazing Activities, Spectacular Sightseeing, Exhilarating Evening Entertainment and a wide range of superb surprises that all of our tours feature. We promise the Ultimate Ireland Experience for all Non-Golfers and our 110% Price Promise also applies to Non-Golfing groups. Are your tours suitable for families with children? Yes, all of our tours can be customised for families with children of all ages. Ireland is a truly magical place for young and old. Whether your young ones like Fairies, Horse Riding, Surfing, Dolphins, Exploring or Adrenaline filled activities, Ireland has it all and our team can customise your Ireland Tour to keep your young ones very excited. Ireland also offers a fantastic range of Child Friendly evening entertainment which we include in Family Itineraries. Our team take care of all logistical arrangements for your family including Hotel Arrangements (Cot Hire, Family Rooms etc. ), Transportation Requirements (Hire of Children’s Car Seats etc.) and Family Friendly Dining options. If you would like to travel to Ireland on a Family Golfing Holiday, have a look at our amazing “Families and Fairways Tour” for some inspiration! There will be some non-golfers in our group. Is that a problem? 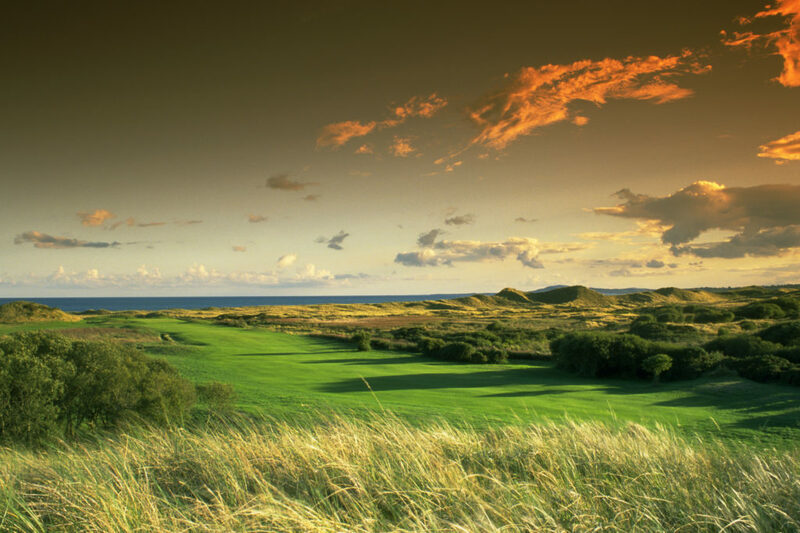 We actively encourage Non-Golfers to travel to Ireland with their golfing partners. Fairways and FunDays is the only Golf Tour Operator who design customised itineraries for non-golfers who are traveling as part of a group. Our experienced team design itineraries in a unique manner which allows Non-Golfers to enjoy incredible customised activities while the golfers in the group play some of the Ireland’s best golf courses. Golfers and Non-Golfers can then collectively enjoy visits to some of Ireland’s best attractions and enjoy Ireland’s world famous exhilarating evening entertainment. Perhaps the “Non Golfers” would like to become Golfers during their visit to Ireland? Perfect – we can organise “Learn to Golf “ clinics for Beginners. Have a look at our “Birdies and Beginners Tour.” Our incredible tours are perfect for Golfers, Non Golfers and a combination of both. How does Fairways and Fundays 110% Price Promise work? Not alone do we offer the most attractive Golf Vacations to Ireland, we also offer the best value Tours available on the market. We are so confident about this that we offer our unique 110% Price Promise. This Price Guarantee means that if you can get the same tour from another Tour Operator at a lower price, we will match that price AND give you a 10% Refund! What can I expect from a Fairways and Fundays tour? Expect to be amazed, expect magical memories and expect the most fun and enjoyment that you will ever have on a Golf and Leisure Vacation. All of our Tours allow clients to experience the very best of Ireland, including World Famous Golf Courses, Spectacular Scenery, Amazing Activities, Magnificent Accommodation, Exhilarating Evening Entertainment and the famous Warm Irish Welcome. 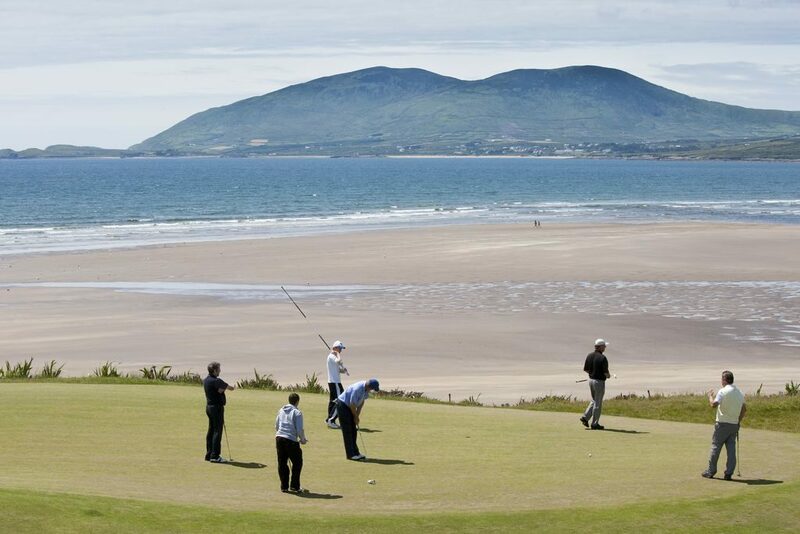 Our tours are the most complete Irish Golf and Leisure Tours available on the market. What is the background of Fairways and Fundays? Fairways and FunDays was incorporated in March 2014 and has a proven track record in relation to Golf and Leisure Tourism. The founders and directors of Fairways and FunDays have extensive experience within the Irish Golf and Tourism industries. Is Fairways and Fundays accredited to any organisation? Fairways and FunDays is a member of the IAGTO (International Association of Golf Tour Operators) and the IGTOA (Ireland Golf Tour Operator Association). Fairways and FunDays is Failte Ireland (Ireland’s governing Tourism authority) approved and works closely with Tourism Ireland, the Golfing Union of Ireland and the Confederation of Golf in Ireland.